What do you do when love hurts? A pocket review of Yejide Kilanko's Chasing Butterflies. 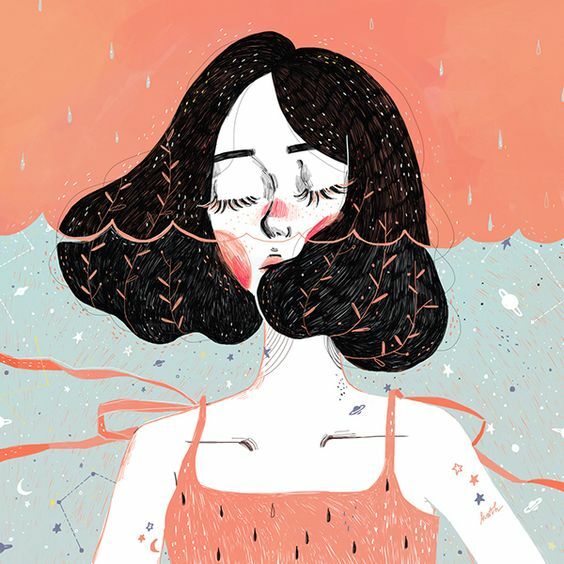 Image: Kathrin Honesta Mais and Quramo Publishing Limited. ejide Kilanko’s first book, Daughters Who Walk This Path, was a thoroughly enjoyable read for me—albeit a sad one. Thus, when I picked Chasing Butterflies, I tried to prepare for another emotional rollercoaster. Like the former, this novella, though set in the United States, revolves around family issues and the lasting effects of childhood traumas. Kilanko, as with the first, focuses on abuse—this time, however, domestic violence as opposed to sexual abuse. Titilope’s 45-year-old husband, Tomide, is quick with his fists and has terrorised her into believing his violence is her fault. Titilope hides her scars, and all that goes on in their marriage, from even her closest friends. Kilanko writes from both main characters’ points of view, so that one is as keenly aware of Tomide’s motivations as one is of Titilope’s traumas. Tomide, himself raised by a physically abusive father, believes that, "early on in their marriage, it became evident that Titilope didn't need him or respect him the way he deserved. Even when he was forced to hit her, she would just stand there and take it as if he was nothing." Kilanko’s novella explores how cultural expectations of women—to be subservient to the man—foster abuse, especially when met with the slightest resistance. The irrationality of Tomide’s violence is highlighted in how visceral his reactions are to mentions or memories of his father. Yet, the memories of his mother’s sufferings do not keep him from inflicting pain. When his wife offers him the chance to get help through therapy, Tomide balks, showing how equally toxic cultural expectations of masculinity can be. In Chasing Butterflies, domestic violence runs through the generations, encouraged by dangerous clichés like, “a good mother does not run from her child's home. She always stays, and she fights.” The memory of those words, said by her mother about a neighbour’s abuse, keeps Titilope in Tomide’s house and life longer than she should have been; painting a picture of how often survivors are psychologically embattled and shamed into returning or remaining. Not even finding out that he was abusive in his previous marriage makes her rethink. As Titilope deals with her physical and emotional wounds, she also has to deal with the hopes of family members back in Nigeria, especially her mother and his. Sentiments as 'Do not break your marriage.' 'How will I hold my head up?' 'What kind of woman sends her man to jail?' spout in the face of conflict. When things then come to a head and he beats her so close to death, their 4-year-old son, TJ, calls the police. Even then, the sentiments still remain. Here, the book paints a familiar picture of the prevalent attitudes towards domestic abuse and victimhood amongst Nigerians. A quick and easy read, Chasing Butterflies tells a good story. The novella could, however, have dwelt more on the lives of the characters beyond the aspects directly connected to the focal theme. There is barely any learning of Titilope before her marriage to Tomide nor of the couple's childhood. Nonetheless, Yejide Kilanko's work is an important addition to the conversation on domestic violence. She does not shy away from the less spoken about issues—she tackles them head-on. Have you read any of Kilanko's books? What did you think? A review copy of Yejide Kilanko's novella, Chasing Butterflies, was kindly sent to The Book Banque by Quramo Publishing Limited, in exchange for a review. All thoughts expressed in this review are honest, and that of the writer, Ráyò. Chasing Butterflies was published in 2018. An exclusive excerpt from Yejide Kilanko's forthcoming novella, Chasing Butterflies, published by Quramo Publishing (April 2018). From the author of Daughters Who Walk This Path, Kilanko, comes a novella on love and marriage - Chasing Butterflies. Titilope is married to Tomide, a handsome and charismatic man. She, however, spends each day anticipating his moods; living in fear of offending him. Alone at a crossroad, Titilope must choose between duty and survival. Meet the couple. nder the spotlight, all Tomide Ojo could see from the stage was a faint outline of his wife’s face. He’d thought Titilope would vanish through the shiny hardwood floors when he told her he was going to sign up for an open mic spot. He smiled when Titilope covered her face with both hands. Tomide strummed the guitar to an acoustic version of Timi Dakolo’s “Iyawo Mi.” As his voice filled the room, Titilope’s face blurred. When things became serious between them, he’d been upfront about what he wanted from a wife. His expectations were not unrealistic. Bottom line, he wanted a woman who knew how to take care of a man the proper way. The way his mother had taken care of his father. Titilope agreed to the terms, only to change after he’d placed a wedding band on her finger. Any sensible person would agree that Titilope’s behaviour was a breach of contract. To be fair, there’d been some good moments. He was also grateful for their son. Tomide stood up from the stage stool and finished the song with flourish. He took a bow and stepped off the stage to enthusiastic whistles and applause. And that’s how to make a romantic statement, Tomide thought as he walked towards Titilope with hands stuck in his pockets. “Welcome back, Mr. Superstar,” Titilope said dryly as he took a seat beside her. Tomide grinned. They normally didn’t use terms of endearment. Up on the stage, it had felt like the right thing to say. “If only it could always be like this,” Titilope said in a wistful tone. Tomide held out his hand. Titilope took it. “That’s my penny-pinching girl,” he said with a smile. Chasing Butterflies will be available in bookstores nationwide from April 28, 2018. Yejide Kilanko was born in Ibadan, Nigeria. She is a writer of poetry, fiction, and a therapist in children’s mental health. Her debut novel, Daughters Who Walk This Path, was published by Farafina Books in 2014. Yejide currently lives with her family in Ontario, Canada. This excerpt from Yejide Kilanko's Chasing Butterflies has been pubished with permission from the publisher, Quramo Publishing. It may not be republished, modified nor stored in a retrivial system without prior written permission from the author, Yejide Kilanko or Quramo Publishing. All rights reserved.